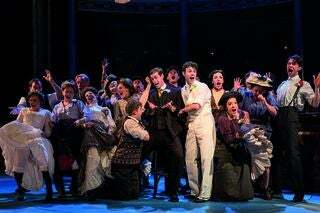 It’s your last chance to see this ‘Flash Bang Wallop’ of a show! Having transferred to London’s Noël Coward Theatre after a recording-breaking run at the Chichester Festival Theatre last summer, Half a Sixpence will end its London run on 2nd September 2017. 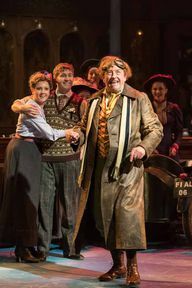 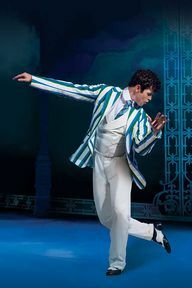 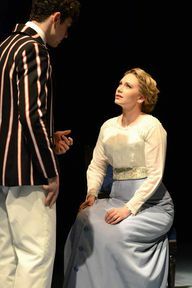 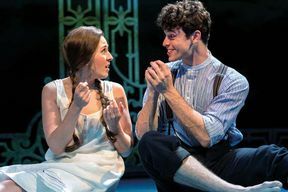 A star vehicle for Tommy Steele in the 1960s and not seen in the West End since, this incarnation of Half A Sixpence is a brand new production from musical mastermind Sir Cameron Mackintosh in association with the Chichester Festival Theatre. Based on H.G. 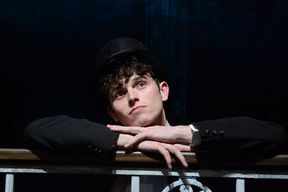 Wells’ semi-autobiographical novel ‘Kipps: The Story of a Simple Soul’, this production has been adapted by Julian Fellowes (of Downton Abbey fame) with new songs by George Stiles and Anthony Drewe (Mary Poppins, The Wind in the Willows, Honk!) 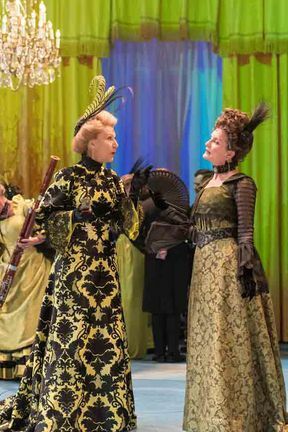 to complement the existing score by David Heneker including the show-stopping ‘Flash Bang Wallop’, ‘Money to Burn’ and the title song. 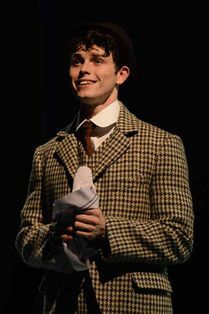 Newcomer Charlie Stemp steals the show as Arthur Kipps, with Devon-Elise Johnson as Ann Pornick. Three-time Olivier Award nominee Emma Williams joins them as Helen Walsingham, with Ian Bartholomew, Vivien Parry, Jane How and a cast of twenty of the West End’s finest! 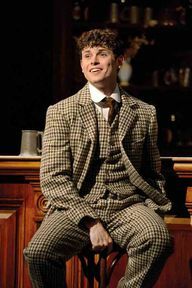 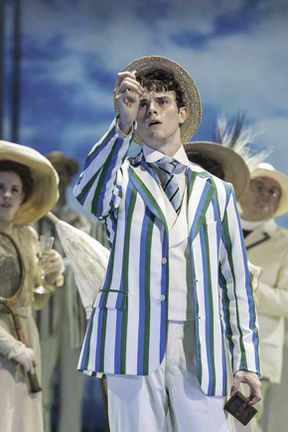 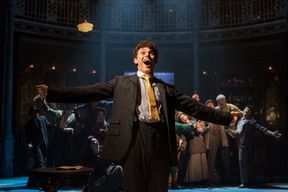 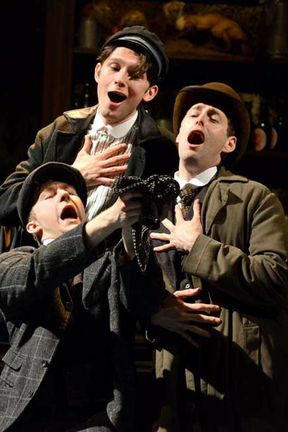 Starring newcomer Charlie Stemp as Arthur Kipps in a performance for the ages, Half a Sixpence tells the story of orphan Arthur Kipps, over-worked as an assistant at Shalford’s Drapery in Folkestone. 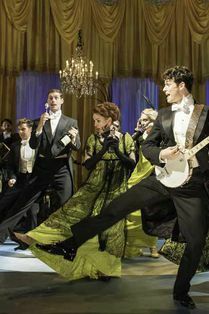 Salt-of-the-earth Kipps suddenly finds his fortunes raise, quite literally, as he inherits a fortune that makes him an extremely eligible bachelor and propels him into high society. 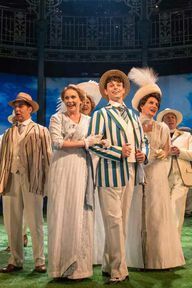 His childhood sweetheart Ann Pornick looks on in horror as the boy she fell in love with becomes almost unrecognisable in the snobby circles he is now moving in. Falling for classy socialite Helen Walsingham, Arthur must decide which is the right partner and the right path for him. 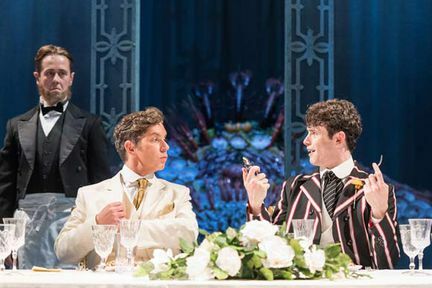 Helped by his friends, Arthur soon realises that money doesn’t buy happiness and that to live the right life we have to make the right choices. 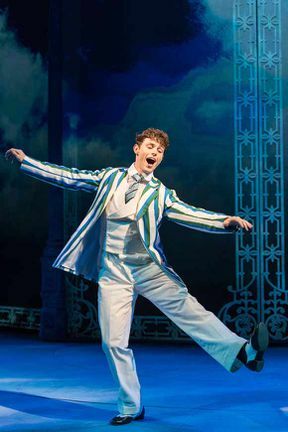 Half a Sixpence is not available to book, please sign up to our newsletter for updates and offers on forthcoming and available shows. Where is Half a Sixpence?